In 1955 a new grade of borate glass was developed by Philips, having improved resistance to sodium vapour. 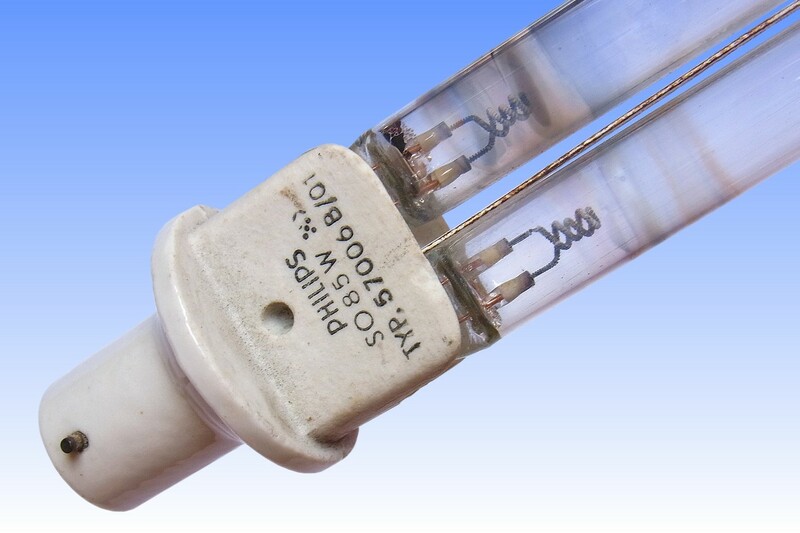 Prior to this, low pressure sodium lamps had been plagued by a rapid staining of the glass, which acquired a brownish colour after a few hundred hours and subsequently darkened during life. Thus although sodium lamps were supremely efficient when new, their efficacy and output fell rapidly. The new Philips glass offered the possibility to overcome this issue, but a number of other problems had to be solved. One notable feature was the poor adhesion of liquid sodium to its surface. The metal ordinarily exists as small beads, but on the new glass it spread out into large thin films. 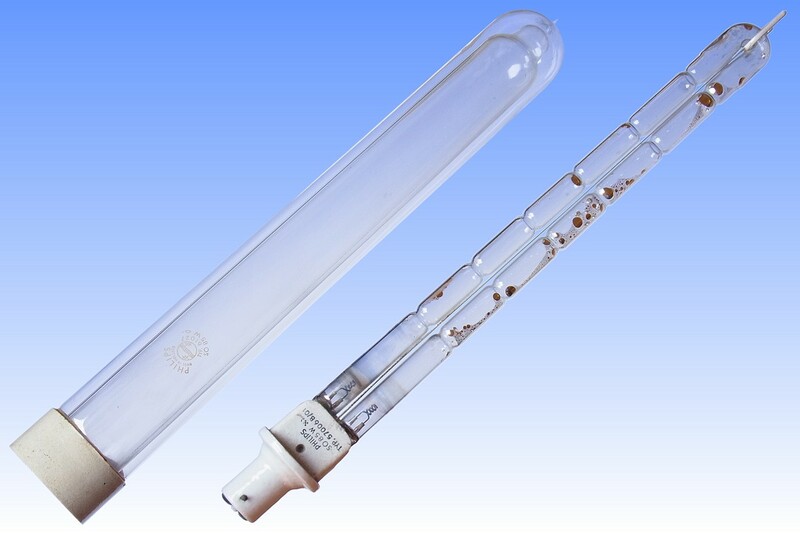 If lamps were not burned absolutely horizontally, the sodium would also flow from one end of the lamp to the other forming large light-blocking mirrors, which offset the gain in efficacy from the reduced staining. To prevent movement of sodium, the glass tube was rilled-in at several points leading to the so-called Bamboo construction. This overcame the sodium film problems and improved lumen maintenance. 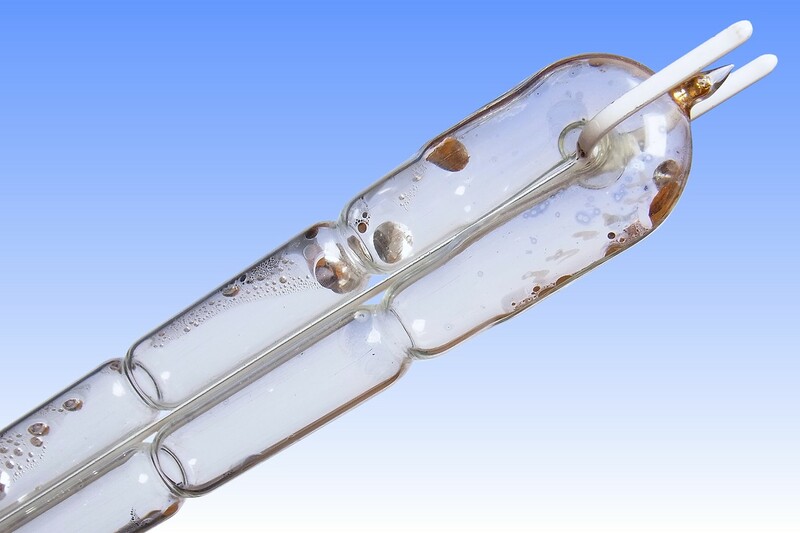 A further problem of the new glass was its more rapid adsorption of the argon component in the starting gas mixture. 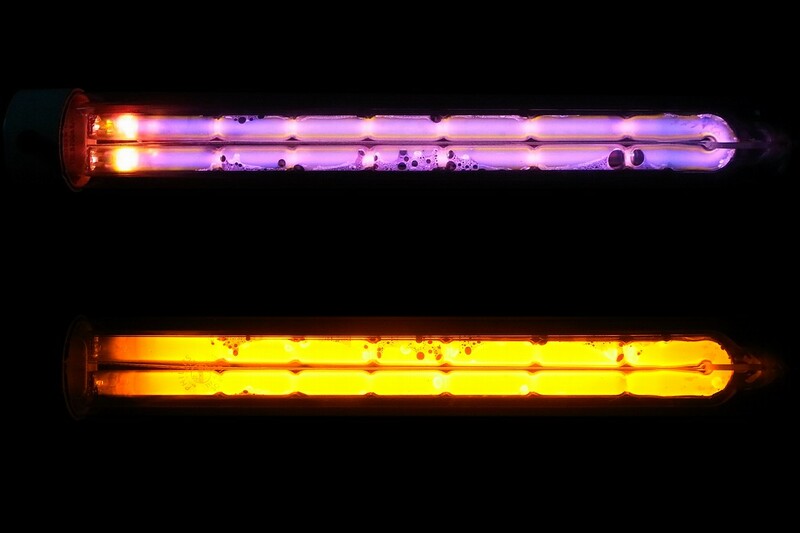 The traditional neon-argon fill could no longer be used, and had to be changed to a neon-helium-xenon mixture - note the characteristic discharge colour. 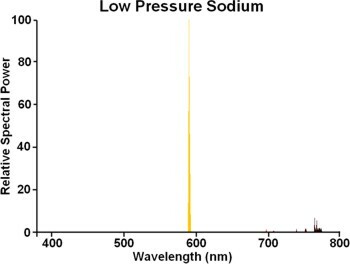 The presence of Xenon reduced lamp efficacy, due to wastage of energy from electrons colliding with this heavy gas instead of sodium vapour. 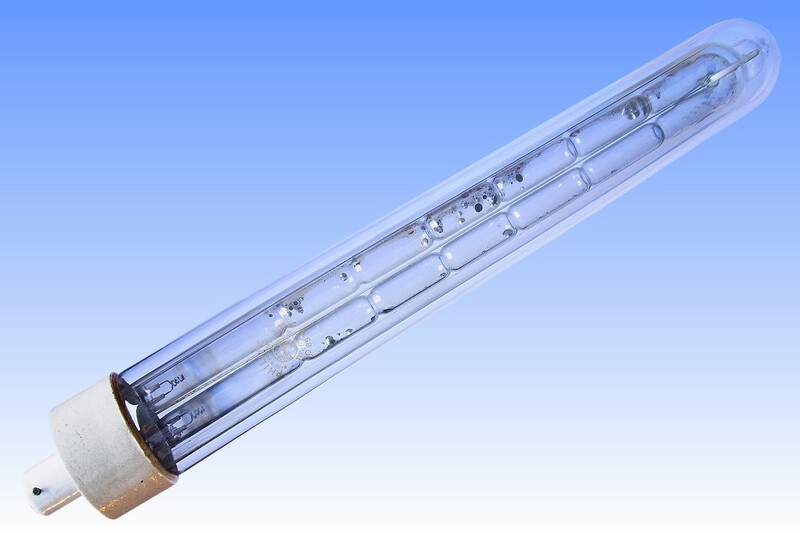 However such was the improvement in the non-staining glass that although the initial light output was a little lower, this was more than compensated by the superior lumen maintenance throughout lamp life.